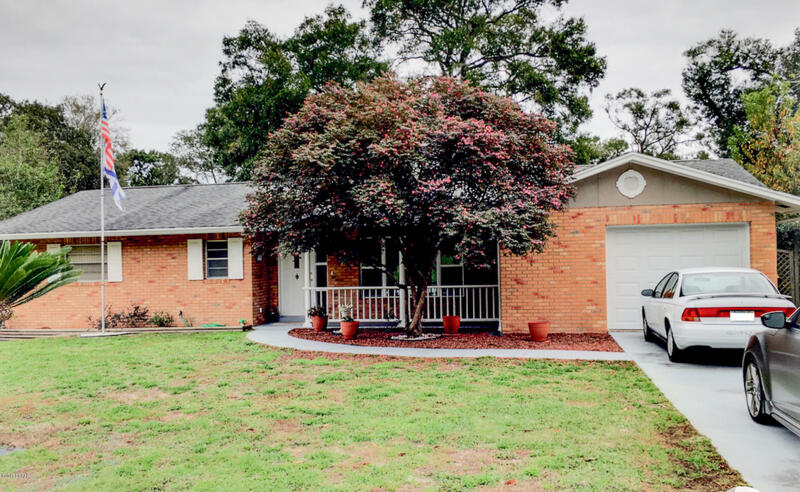 PRIDE OF OWNERSHIP is apparent as soon as you pull in the driveway of this brick-front home on a corner lot. Admire the mature landscaping from the front porch or through the living room ''picture'' window. All rooms are of generous size in this 2/2 home with nearly 1300 sf of living space. The single-car garage is oversized as well (29' x 17') and has a built-in work bench. There is plenty of room for all your tools. The garage also contains a 9' x 9' utility area with washer/ dryer hookups, utility sink, and chest freezer. The current owner has made many improvements including replacement of the garage door, living room window, front fence, and back deck. This well-loved home is truly move-in ready. Based on information from the DABMLS from 2018-12-19 11:13:48. DABMLS and their affiliates provide the MLS and all content therein "AS IS" and without any warranty, express or implied. Data maintained by the DABMLS may not reflect all real estate activity in the market.